Long Distance Relationships (LDR) is a hard situation to be in. Constant trust and communication is needed to fill the gap of ‘Presence’. Though challenging, it exercises your honesty towards yourself and your partner. A friend of mine is at this situation and they have a strong relationship. Just recently, I have the opportunity to meet them, talk to them and see them interact with each in person. Erik Deveza is a good friend here at Sydney. He has a girlfriend, Marianne Kaw. I ‘met’ her over the internet when Erik is Skye-ing Marianne over his iPhone. When the opportunity rose, Marianne went to Sydney to spend some precious time with Erik. This is a good indication of the level of dedication these two people have. With only 2 weeks to spend, the couple is busy meeting everyone, going to distict places and spending the time with each other. It’s a very busy two week holiday! 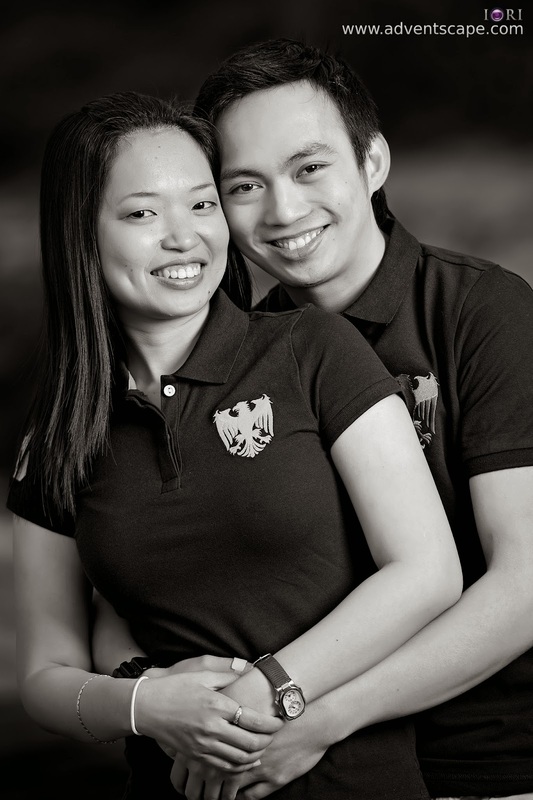 I, and a few photographer-friends, are fortunate enough to meet both in person and do a prenup photo shoot together. 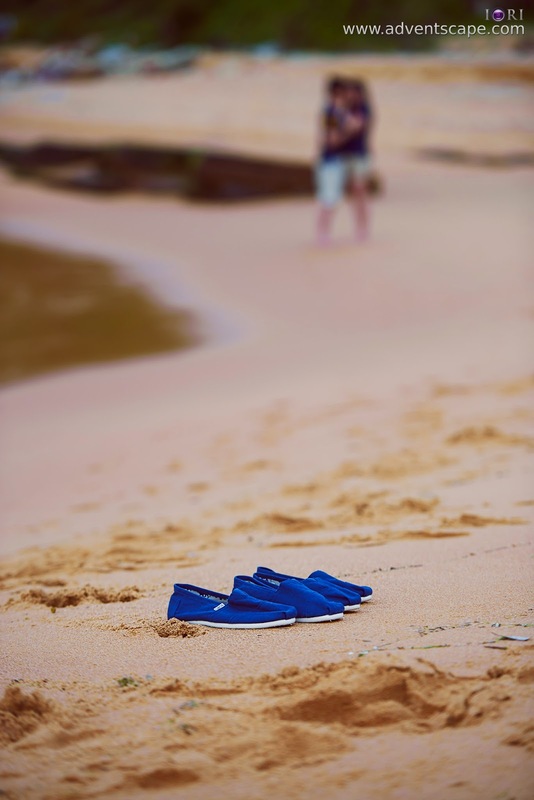 We did it at Turimetta Beach, a well known location for seascape photographers. The time was 7:30am, just after sunrise. The weather cooperated giving us an overcast sky during the entire session! The winds are calm as well (particularly at the shorelines). There are no sudden gust of wind. I don’t need to have someone stand by my light stand and hold it as I shoot. The couple interacted naturally. They are comfortable with each other. I don’t have issues directing them to pose. They are not shy. They just do it and make it happen. 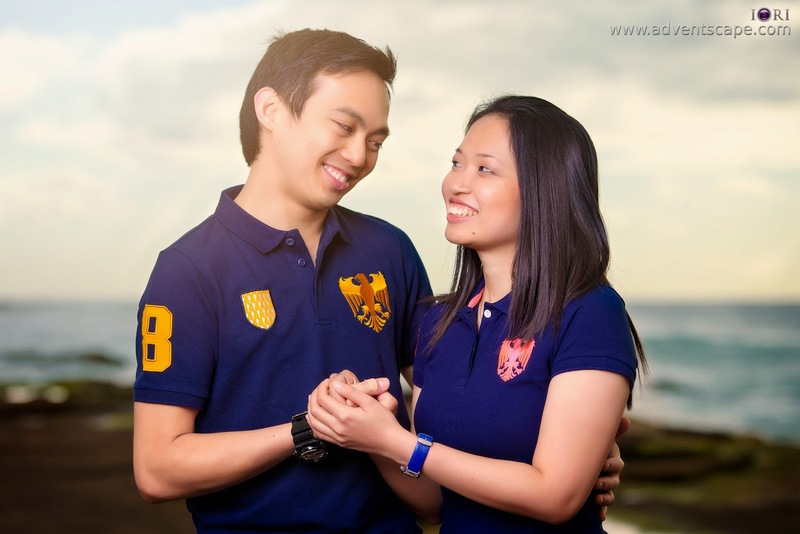 It’s very easy to take prenup photos with willing and easy to direct couples. We have 2 costume changes. The photos shown here are all from the second change of clothing. I had photos during their first outfit but I’m not satisfied with my shots. Thus, I didn’t post them. As I can see it, they are very happy with little time they have. At that point, Marianne will be leaving Australia in 2 days time. Our love story wouldn't be possible if not because of our common friend. Despite the distance, we were introduced to each other over Facebook and it all started from there. 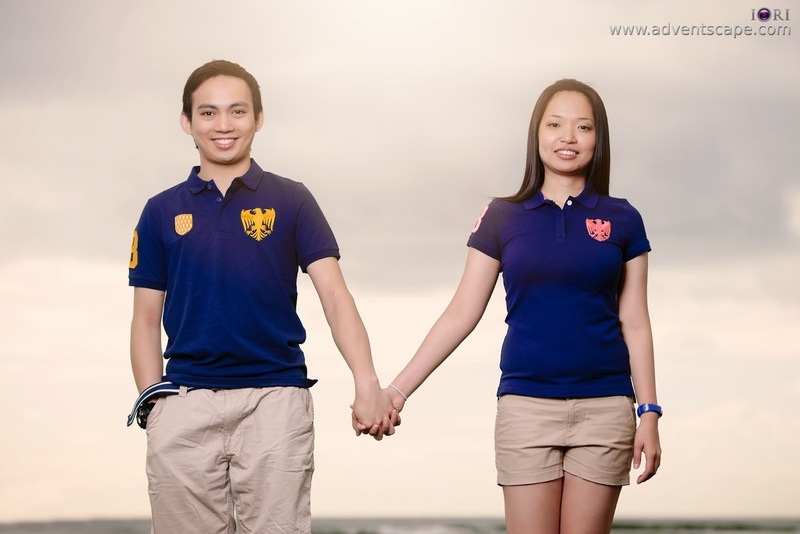 We certainly believe that God had made us for each other. LDR is difficult for most of us, but we don't look at it that way. This way, we are able to show our love for each other thru faithfulness, trust, open and constant communication. We may long for each other's presence and physical touch at times, but we know this feeling is just temporary and our patience will pay off as we get married soon. LDR is a hard one. I’m cheering both so that they can continue and strive further until the end. I wish I can take their wedding photos but it might be physically impossible if they wed outside Australia. I’m lucky as it was overcast. This gave us soft ambient light. It also helps our flash as we don’t need to go full power. With portraits, I mainly shoot at 200mm at F/2.8 or F/4. If I’m feeling shakey, I’d shoot F/5.6 just to give myself that Depth of Field (DOF) thickness. I have Nikon D800E. Though I have that cropping power, I don’t use it. I mainly compose via the viewfinder and that’s it. I don’t crop as much as possible. I shoot with only one light. I tried to feather the light to give that soft transition from light to shadows. It’s hard to manage many light sources at the beach as they are prone to fall (via the wind) or sand can get into their open spaces. Though there are grass and foliage nearby, I took advantage of the shore and the sky. This made me thought of a different composition. I tried not to overshoot so that my photos have a distinct look from each other. I do a basic editing cleanup. This includes correcting exposure, contrast, white balance, noise reduction, saturation and sharpness. When I’m satisfied with my base image, I then decide if I want to edit furthermore. This includes converting to black and white, desaturating, giving a certain tint, cropping aggressively, going for a look that I envisioned etc.